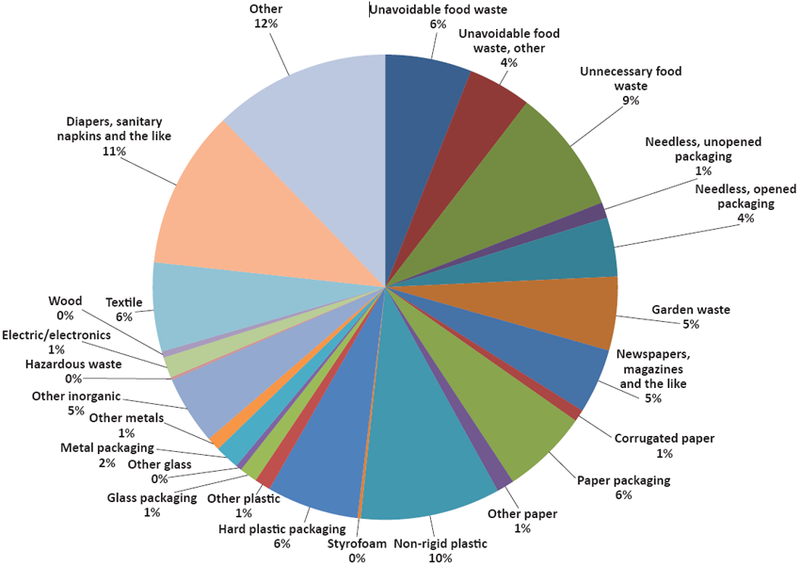 Envir perform waste composition analysis on households unsorted municipal waste, food waste, packaging materials, bulky waste as well as other waste according to customer needs. After sorting and weighing a calculated composition by weight of the sorted waste, the result is presented in the form of table, charts and pictures of various collection categories. In cases where there is a sufficient basis for evaluation, the results are presented in kg / household per week. After completing the analysis, the customer receives a protocol which shows the answers to already ordered analysis. The result of a test showed that 32% producer materials in residual waste can be sorted out in the pure fractions and save large financial amounts.